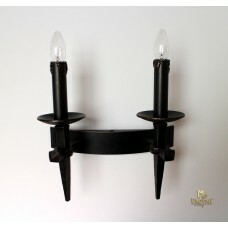 Two-candle side-wall hand-forged lighting ‘ANTIK’ with a historical design made in artistic blacksmi..
Wrought iron side wall lighting in historical design brings the right lighting to historical buildin..
Wrought iron ceiling lighting with historical design recalls old times. 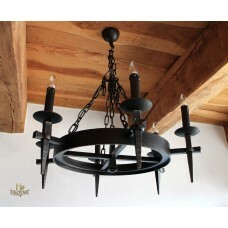 Hand-forged chandelier with ..
A side-wall wrought iron light of natural motif gives out uniqueness and luxury. Ideal for interior.. 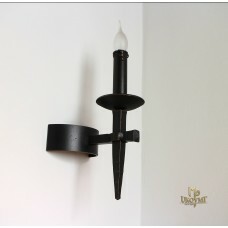 Outdoor wall lighting Classic/T is a new type of lighting in our offer. 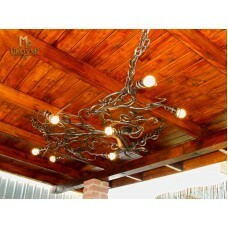 Wrought iron lamp is an appr..
A ceiling light -a wrought iron chandelier in the shape of a root is a work of art that will make yo..
We developed for you a new type of wrought iron lighting Classic. We plan to produce it in higher vo..
A hanging light - a luxurious wrought iron chandelier in the shape of root looks majestic and is an ..
Garden pole lighting Classic/T belongs to the latest type of lightings in our offer. 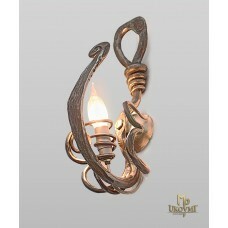 Wrought iron li..
A side wall wrought iron lamp with the motif of a vine with a bunch of grapes will decorate and illu..
A hand wrought iron light with a natural motif created by artistic blacksmiths from the Ukovmi is a .. Outdoor wall lamp with historical design. Wrought iron lighting belongs to the latest types of light..
An exclusive wall lamp of a vine design, hand forged by the artistic blacksmiths is a luxurious acce.. Outdoor lighting crafted by smiths of company UKOVMI has a historical design. Quality hanging lighti.. Pole lamp crafted in historical style has outdoor use. This lighting illuminates driveways, gardens ..